Let’s face it – the internet has changed the way we do business. According to the Pew Research Center, 9 in 10 American adults (including potential new patients!) use the internet to shop online, scan Facebook, or perform research. Even more startling? About 90% of buyers are influenced by online reviews, and base decisions off those reviews. That’s why having a strong online presence isn’t really an option any longer – it is vital to the success of your dental practice. Hosting an engaging website will not only build loyalty among your current customers, it will generate new clients too. So what can you do to stand out from the crowd and attract new patients? Keep reading to find out! About 90% of buyers are influenced by online reviews, and base decisions off those reviews. Did you know you can be fined if your website isn’t accessible to people with disabilities? Title III of the Americans with Disabilities Act ensures people with disabilities must have equal access to buildings, public restrooms, restaurants, and…the internet. For example, if you have a patient with a visual impairment, images on your website need to include appropriate tags and data that “speaks” to what those images look like. Key Takeaway: If you don’t have a website that complies 100% with accessibility standards, you are 100% at risk. Want to develop stronger relationships with your patients? 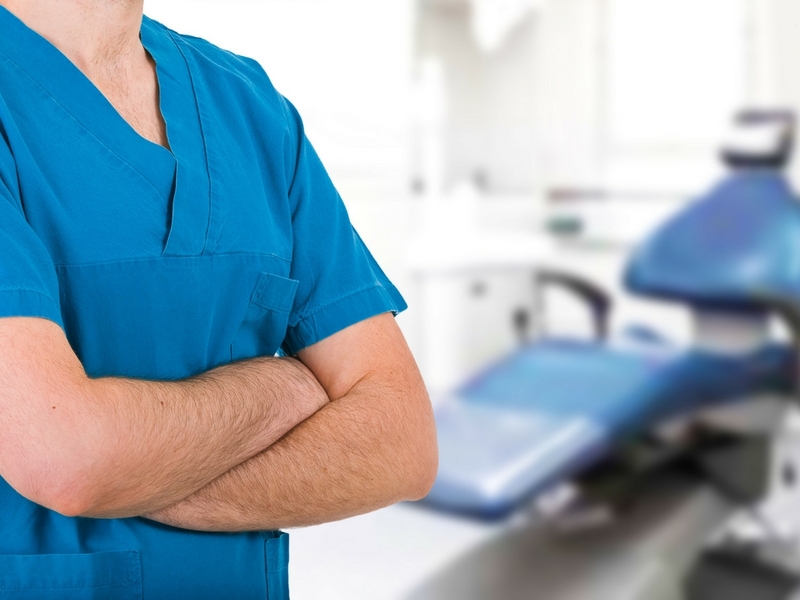 Having a separate page with employee bios helps patients feel a personal connection with your practice and staff before they walk through your doors. It also offers an additional opportunity to show off your practice’s personality. Maybe Michelle has a knack for calming anxious children and is a major Game of Thrones fan. Or, Lucy, specializes in teeth whitening and is a skilled chef in the kitchen. When your patients get to know your team, they feel comfortable coming into your office. Key Takeaway: Showing the “human” side of your staff reduces anxiety and strengthens relationships. 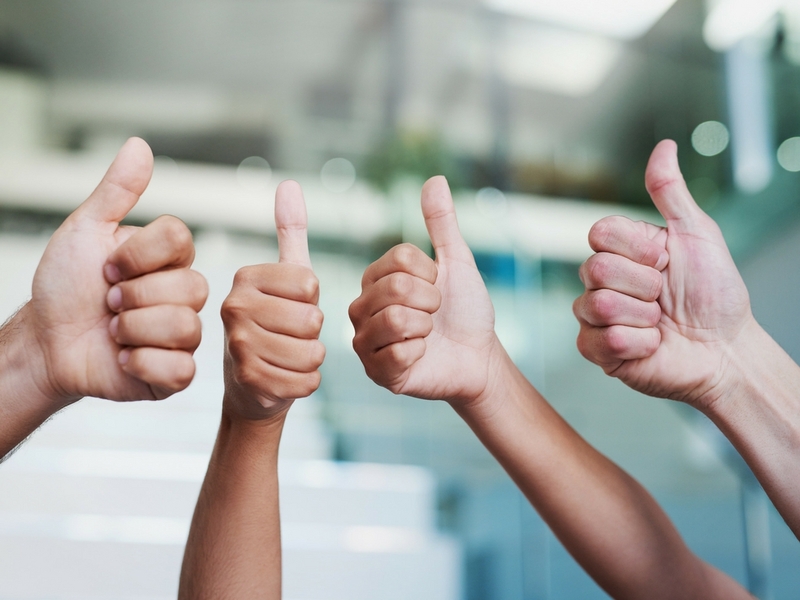 Customer testimonials are one of the easiest ways to build your credibility and boost your reputation with potential customers. When people read testimonials, they gain confidence in your business and are far more likely to become loyal customers. You want your online visitors to see that your services have helped someone like them. Choose testimonials that set your practice apart from your competition. When patients talk about your top-notch service, compassionate care, and amazing results, outsiders (aka possible new patients) are more likely to trust the information and view it as more than just a sales pitch. Key Takeaway: Don’t underestimate the value of a genuine testimonial to convince new patients to give your services a trial run. Quality web content increases the number of repeat visitors to your site, which in turn generates greater brand loyalty. The most effective content targets, provides value to, and engages your key customers. And don’t forget to add new content to your website on a regular basis – it will keep your customers engaged and increase search engine traffic. Tip: Write with your customers in mind first and your business goals second. Key Takeaway: The right content can target, engage, and attract patients. Having well-written content isn’t enough – your content also needs to be formatted in a way that’s easy to digest. Hmm, what medium provides the perfect space to do just that? A blog! It’s a great way to communicate with your customers, build an audience, increase traffic to your website, and keep your brand in the forefront. Adding high quality, useful content also leads to a higher Google ranking, more visitors, and more social shares. Plus, search engines love fresh content and so do website visitors. 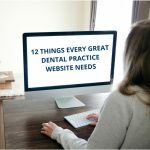 If you’d like some ideas about the type of content that would be a great fit for your practice’s blog, start here! 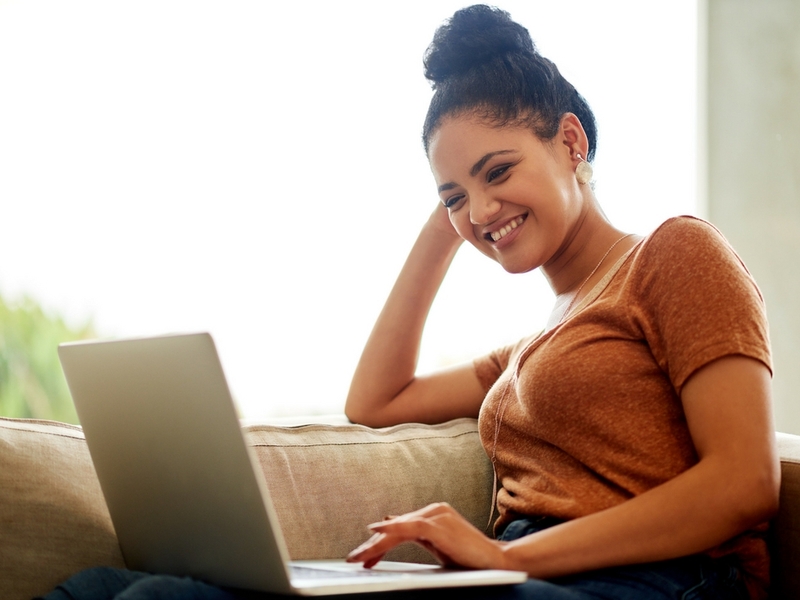 Key Takeaway: Blogging not only provides your visitors with something useful or entertaining, it also keeps your site fresh in search results. 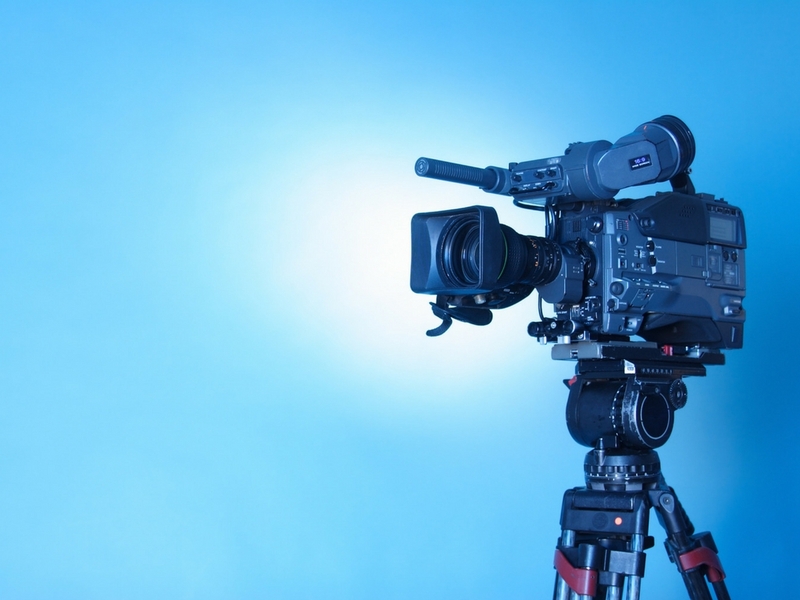 Videos are a great way to promote both your team and your services. Patients can learn about the treatments you provide, get an idea of your office’s design, and witness your demeanor and knowledge as a dental professional. Videos don’t have to be complicated. All you need is a lab coat, inexpensive camera, and five minutes. And how fun would it be to produce staff introduction videos for your staff bio page?! Be professional, but don’t shy away from showing your personality. Key Takeaway: Videos are an easy way to showcase your services and engage your patients in a different way. Customers looking for a new dentist are already nervous about finding that perfect fit. Why not add a little fun to their search process? 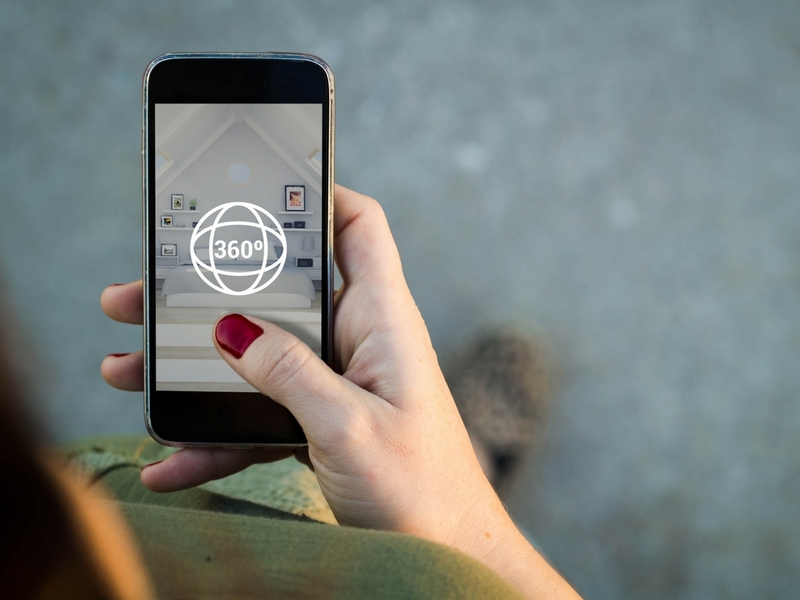 Virtual reality allows your potential customers to experience your business without having to step a foot through the doors. Customers can admire your beautiful décor and design, “walk” through your office, and get a “feel” for the atmosphere. Not only will they see your practice as a modern business, you’ll be providing a “wow” factor that patients love. See eight other ways dental practices are using virtual reality HERE. Key Takeaway: 3D office tours can attract patients by showing them exactly what they can expect when entering your office for the first time. Ultimately, your customers are human, not virtual, so make sure your contact details are clearly visible on every page of your website. You wouldn’t want to lose a customer to a competitor just because you made it difficult for them to get in touch with you. You should also be sure to include several ways for them to contact you – phone, e-mail, a standard contact form, and even live chat. Key Takeaway: Customers will give up looking for your contact information if it is not clearly and quickly accessible. To get visitors’ attention and differentiate your practice from competitors, your website needs to reflect your unique brand and personality. Try to avoid the use of stock imagery, business jargon, static content, and a generic design – all of which undermines your user experience. Instead of just selling your products and services, try selling a culture of innovation and expertise, exceptional customer service, and an awesome team. Remember, the best way to create a positive online brand experience is to be yourself. And with social media, it has become super easy to make your web presence interactive and fun (see #10). 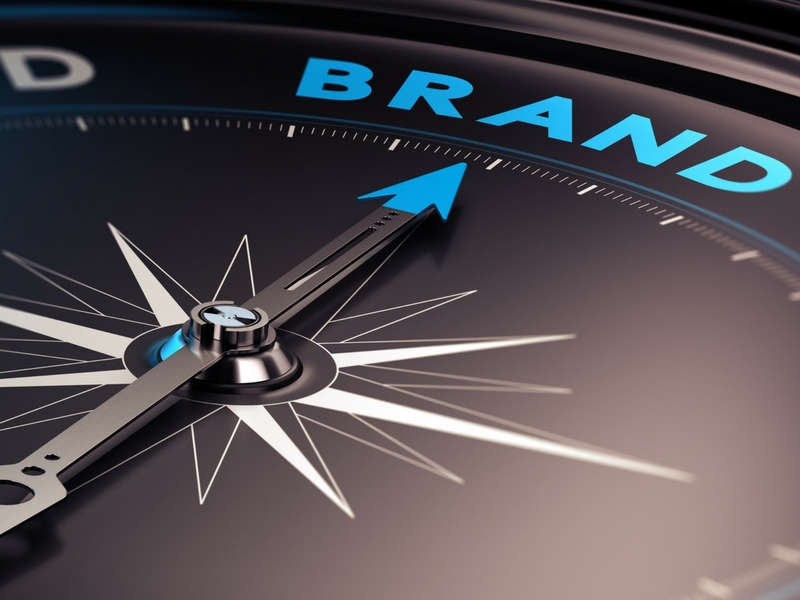 Key Takeaway: Use branding to tell your business story online and create an accurate image of your practice. The best way to create a positive online brand experience is to be yourself. Just like fun bios, social channels give current and prospective patients a more genuine look at your practice’s “vibe” and personality. 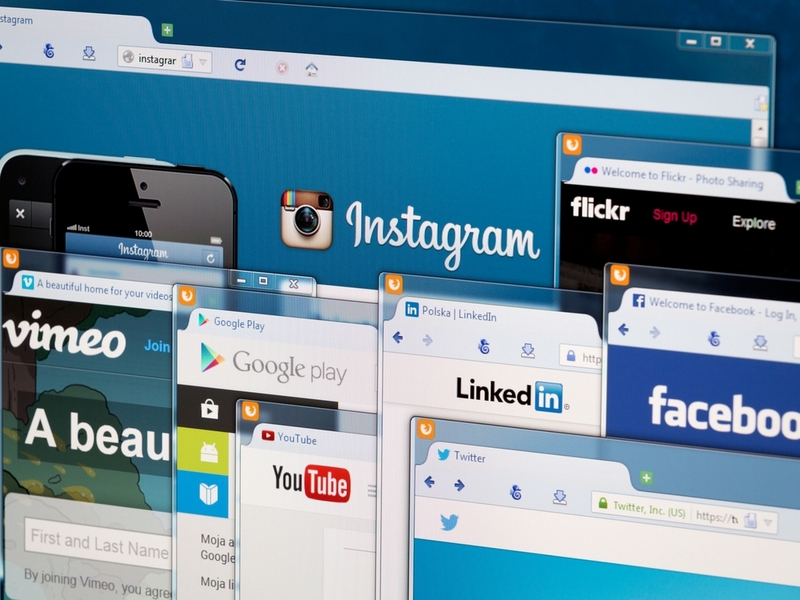 Linking to your social media accounts can help your website get a higher number of social media signals, which do play a role in your website’s ranking. This increases the number of quality backlinks you have, which also positively affects your rankings. In need of some social media content ideas for your pages? Read this! 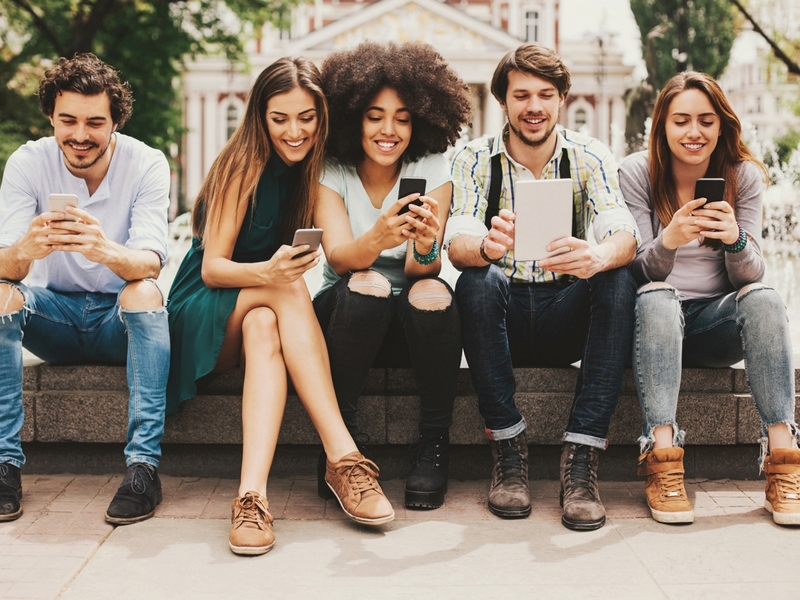 Key Takeaway: Be transparent, speak to your customers on a real-time basis, and let them connect with each other through your social channels. Patients hunt for information, and if they don’t find what they’re looking for quickly, they will go elsewhere. 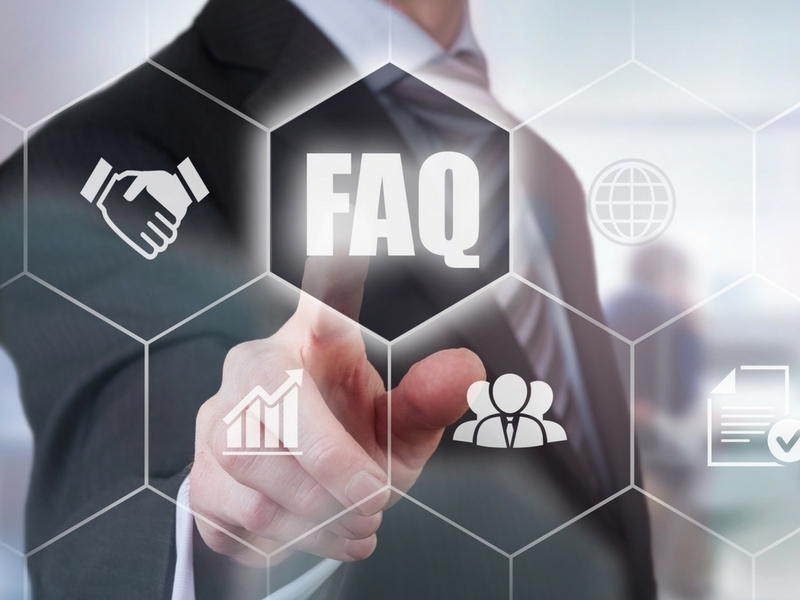 A good way to make sure you’ve covered your bases is hosting an FAQ section. Keep a running list of common questions your staff receives, and then draft easy-to-understand responses. When you answer patient questions up front, you put them at ease and position yourself as an expert in your field. Key Takeaway: If patients have to contact you to get answers to simple questions like hours of operation, services your offer, directions to your location, forms to fill out, etc. they may not even bother. A few years ago, we considered mobile friendly sites a nice-to-have feature. Mobile friendly sites have since moved into must-have feature territory. What does this mean for your website? Your website strategy needs to include a responsive web design – a design that adjusts itself to different screen sizes depending on which device is being used to view it. Believe it or not, most of your website’s traffic will come from people searching from mobile devices! Key Takeaway: Provide a great user site experience by becoming mobile-friendly. 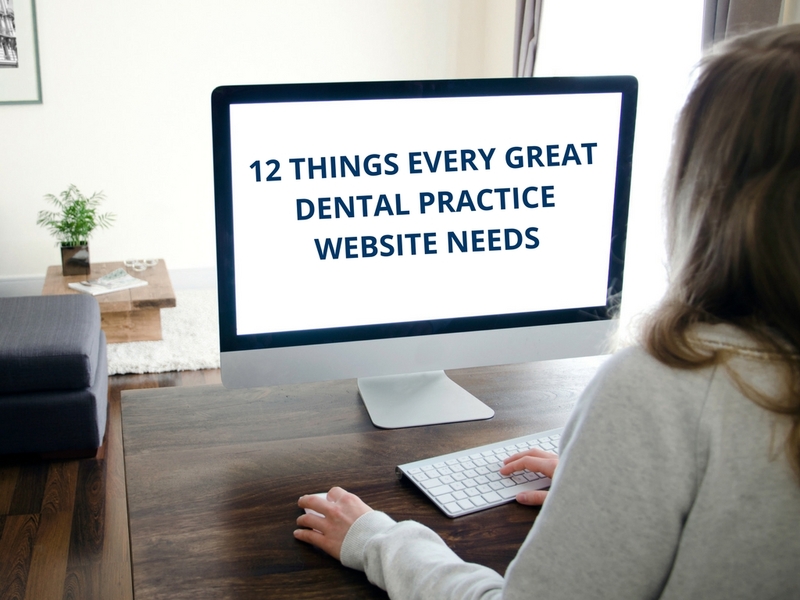 If you’ve established a great dental practice website, we’d love to take a peek. Comment below with a link to your site and tell us what you’re most proud of! Interesting ideas but I disagree with the reation and maintenance of a blog (#5). This requires the production of quality content regularly over years. Dentists have a hard enough time creating content for their services and even their bio. Also, non dentists are not entertained by dental blog articles. Sorry! 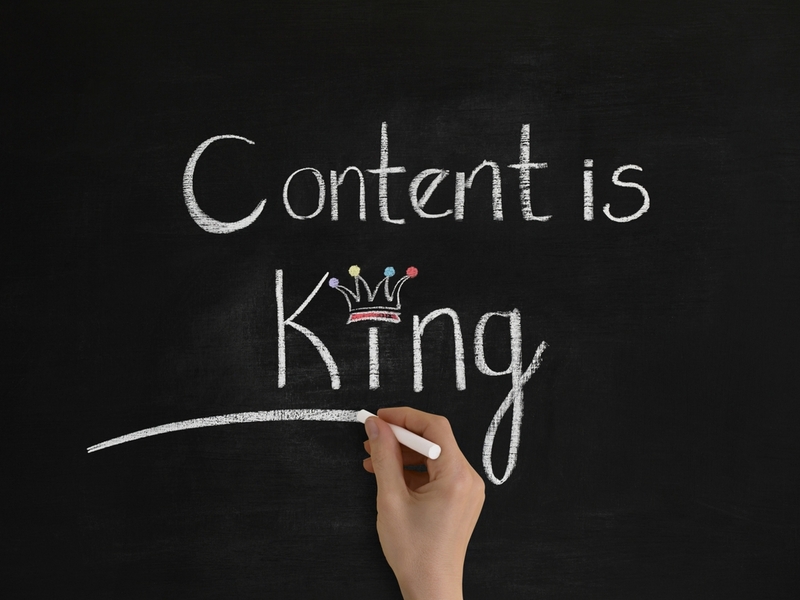 If you have great content, use it to enhance the content of the website. No blog is required to achieve that. Good article, that 360 picture makes sense, we’ll do it this weekend! I agree with Mark. I think that was a great comment.